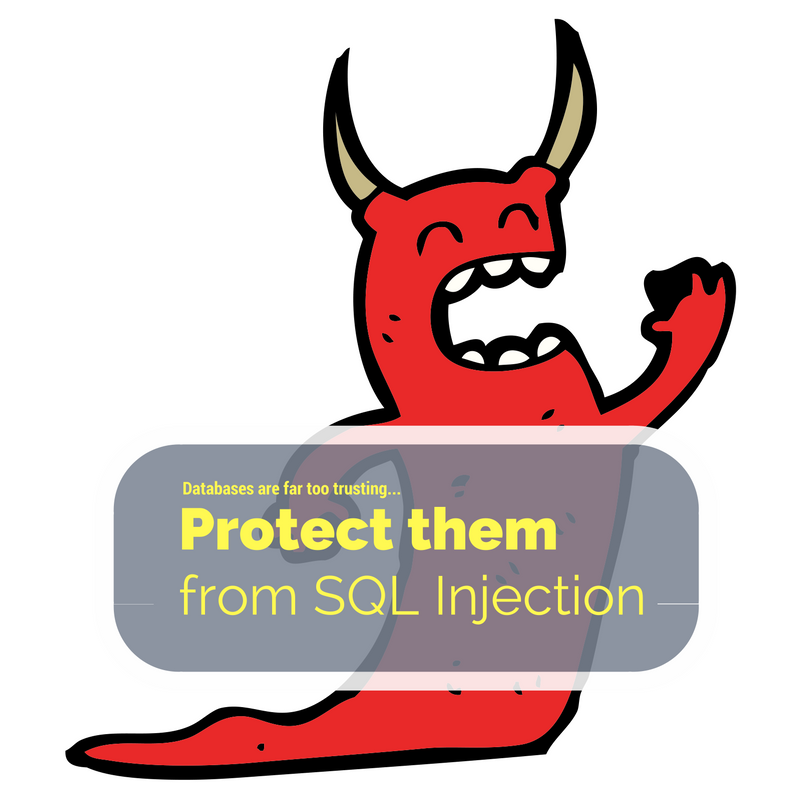 Protecting Input: Don’t Allow SQL Injection, LAMP Style! – Interstell, Inc. In my last post, I facetiously said that the problem with databases is that they do what we tell them to. Then I introduced you to SQL Injection and demonstrated how to protect yourself against it if you’re running a Java application (for example, under Apache Tomcat 8.0.39). That technique relied on JDBC and parameterized SQL queries, which means we rely on a mechanism between Java and the database engine itself to help protect against SQL Injection. Java has a really robust database abstraction layer called JDBC. Unfortunately, PHP doesn’t have an equivalent, though a technology called PHP Data Objects (PDO) makes the attempt. It’s nowhere near as mature or robust, but for some databases (like MySQL), it’s great. An article on the site Grow the Future gives a concise picture of what databases PHP supports. Since PDO’s MySQL support is so strong, I’ll show you how to use PDO to implement parameterized queries on a Linux, Apache, MySQL, PHP (LAMP) installation — and thereby add a layer of protection against SQL Injection. Don’t let illicit content horn its way into your database! Use parameterized queries to protect your poor, naive databases! This section contains the same information as “What’s SQL Injection” in my last post. I’m reproducing it here in case you weren’t interested in this topic for Java. But, if you read my last post, you can skip this section! This query, instead of showing just “Attack on Titan”, will show all of the rows in the table. Why? Because, being evil, I intentionally fooled the program by closing the string with a single quote, then adding “OR 1 = 1”. Since 1 always equals 1, that condition is always true. In effect, I’ve told the query engine to show me all of the rows. Maybe the output of “SHOW TABLES” wouldn’t necessarily get to the browser’s display; or maybe you’re using reflection to automatically interpret the results and write them to the screen? Fortunately, protecting your PHP application from SQL Injection is really easy. Do NOT let injection attacks get you down! Protect yourself and your customer! Parameterized Queries Save the Day! The problem goes back to databases doing whatever we tell them to do. So, we have to come up with a safe way to ask them for data. PHP provides the perfect mechanism: Parameterized Queries within PDO. The example I’m showing was built on PHP 5.4.16, and it should work on any (currently known) newer version as well. // TODO: Scrub the data; or use a white list to protect it! This is bad implementation; we should do something like employ a white list to make sure the data’s safe. But for this illustration, we’ll rely on PDO and parameterized queries to protect is. To build a query that will show us a list of possible Blu Ray matches, we’ll use parameterized queries. The left page includes a form that POSTs to the page on the right. This function will return the results in an array named $arrReturn. The prompt for genre on the previous form returns the identifier for the genre or a zero if the user made no selection. The code makes sure that $strGenre isn’t blank by converting a blank to a zero. Then, we prepare the title for a LIKE search. Performance isn’t the greatest, but we’re just demonstrating parameterized queries here. The bindParam statement tells the query engine that the contents of the variable $strNameOfWork as the value for the first question mark. We do the same thing (optionally, if the user specified it) for the genre. Then, we actually execute the query. Notice that there’s no opportunity for an attacker to assault our code with string concatenation. The MySQL query engine just crams whatever’s in the variable $strNameOfWork or $strGenre into the query “as is.” If either variable contains something like “‘ OR 1 = 1′”, the search will just return nothing (unless there’s a title like “My Blu Ray Disk ‘ OR 1 = 1′”. This block of code walks through the results and, for each row, builds an array containing the data. It then adds that array to the “master” array, which gets returned to the calling application. The calling application (in this case, input_02_results.php), walks through the “master” array and displays the search results. Better safe — and happy! — than sorry. 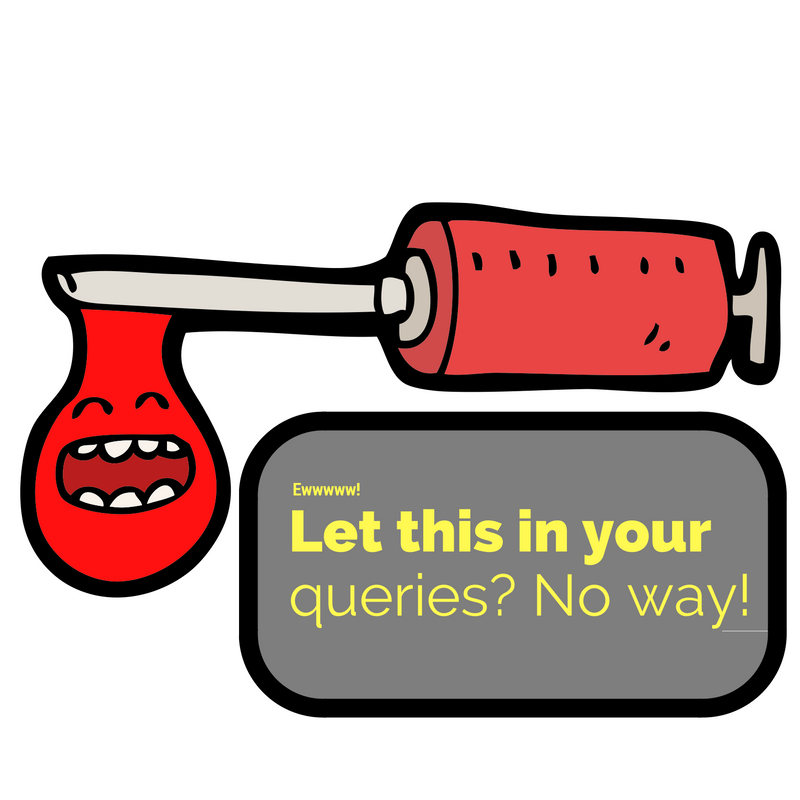 Parameterized queries help protect against SQL Injection. For example, earlier, I mentioned the possibility of using a white list. If possible, you could only allow letters and numbers, which would eliminate most of the raw material an attacker would need. This would make entering a string like “‘ OR 1 = 1” impossible, since it could exclude single quotes. Also, consider limiting the power of the ID you use to query the database. In the example above, you’ll see that I used the ID “asfgreader.” When I created the database “asfg,” I issued the statement “GRANT SELECT ON asfg. * TO ‘asfgreader’@’localhost’ IDENTIFIED BY ‘password’. That created asfgreader as a read-only ID. Even though I extensively use Parameterized Queries in my applications, there’s a chance that a given version of PHP’s PDO implementation might have a flaw. That flaw might allow a SQL Injection attack. I can limit the damage, especially from DDL commands, by using a low-power ID.